Profile Response: Debra, Server at Michie Tavern, Charlottesville VA | How Will We Live Tomorrow? 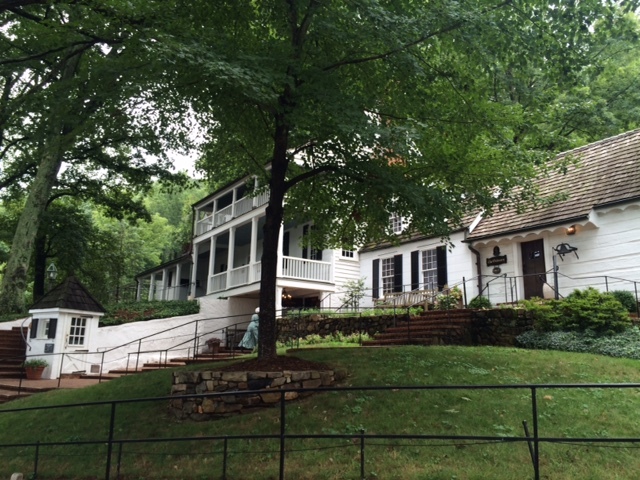 In 1927, after a century as a public house and almost as long in disrepair, Mrs. Mark Henderson, a local businesswoman purchased Michie Tavern and, in a stroke of genius, moved the historic structure downhill from Monticello four years after the Thomas Jefferson Foundation purchased it to create a museum. 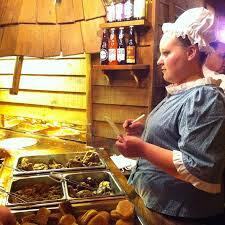 Now, the percentage of Monticello visitors who lunch at Michie Tavern is high, and they are all happy. Michie Tavern has a gift shop, a mill shop, and a museum, but the centerpiece of their operation is ‘Midday Fare’ from 11:15 a.m. to 3:30 p.m. every day except Christmas. Women in colonial garb greet and direct you to the Keeping Room, which contains a serving line that never changes: cole slaw, cold beets, black-eyed peas, stewed tomatoes, mashed potatoes, biscuits, cornbread, fried chicken, baked chicken, and pork. $17.95 per adult, $10.95 for the vegetarian selection. They also offer a number of beverages and dessert cobblers although, after a double portion of biscuits topped by the sweetest stewed tomatoes I ever tasted, I had no room for dessert. I visited Michie mid-afternoon on a drizzly day; they were uncharacteristically slow. Debra, my server, explained that though they only served the public four hours a day, there were so many charter buses and private parties, she had a full time job. “We can have four buses in here at 10:30 in the morning, people eating fried chicken.” When you do something right, you can just keep doing it. This entry was posted in Uncategorized and tagged Charlottesville VA, Michie Tavern. Bookmark the permalink.